When we considered the creation of SENIORCARE, we were driven by the desire to introduce fresh air with more design-oriented products within the geriatric furniture market. Today that aspiration is already a reality with our wide and varied collections, which allows equipping a project or an installation with a touch of distinction and style. Starting from a firm commitment to quality, and taking care of all the details from the initial design to the finishes of each of the pieces, our products stand out for their careful and functional aesthetics. We want in every installation that Mediterranean spirit and light that is in our origins. For this reason, our products keep simple and stepped lines, functionally very ergonomic and that are enhanced with the wide and varied range of fabrics, colors and finishes among which it is possible to choose. 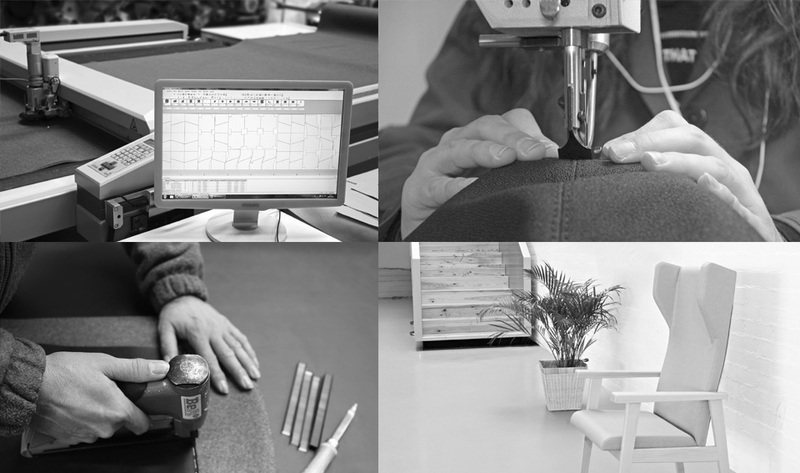 To achieve the maximum satisfaction of our customers, we rely on more than 30 years of experience of our company in the world of furniture manufacturing and marketing, and our great team. In addition, our entire design, production and marketing process is certified under the ISO9001 standard. We invite you to discover all our collections, with the desire to find in the following attractive pages solutions for your projects. The different stages of life require products with different functional requirements. This is especially important in the group of elderly people, who require a series of very special functional and ergonomic characteristics. At the center of our philosophy is to provide products that fully meet all needs in geriatric environments. This includes, in the first place, comfort and convenience for users, but also the comfort of the people who are in charge of them. That is why it is so important that each of the pieces guarantees that all the parties involved will meet their needs. To achieve this, we use only top quality materials, which allow to guarantee the durability of the product in intensive use environments. And we take care of all the details of the design so that they are functionally simple to use and manage. A challenge that pursues a single objective: that all people who use or interact with our products find satisfaction. In our products, each of its components maintains a high quality standard. In our letter of fabrics, all our vinyl comply with the specifications to ensure adequate breathability, comfort and comply with all anti-stain, anti-bacterial and odor prevention standards. In addition, they are resistant to abrasion in some cases up to 300,000 Martindale cycles. In our pieces of wood, we only use first quality beech wood, to ensure the robustness and durability of the structures. The same happens in those of metal structure or mechanism, which are produced with the highest standards of the market. Flexibility to meet the needs of our customers. We strive to exceed the highest expectations of our customers. We understand perfectly that each project always has some special requirements. Our productive capacity allows us to have the necessary flexibility to adapt to the manufacture of special or customized pieces. In this way, you can always have the competitive advantage of being able to satisfy the demands of your customers. In addition, at a decorative level, this flexibility allows us to accept client fabrics for our upholstery, special colors for varnishing and any other finish. In this way we are able to adapt fully to any project or decorative style.